Will we look at the new evidence for long enough to at least consider whether we’ve gone too far? In the early 2000s, anti-smoking advocates seized on one study to fight for expanding smoking bans to bars and restaurants in jurisdictions across the country. Newspapers ran with the story, credulously assuming that the correlation had been truly caused by the smoking ban. “The bottom line of Helena’s plummeting, then soaring, heart attack rate is painfully obvious,” warned an op-ed in the New York Times. “Secondhand smoke kills.” The BBC projected that “[banning] smoking in public places could prevent hundreds of deaths from heart disease.” Wire services carried the result around the globe, and even the conservative Wall Street Journal cited the result as an important finding. By the time the Helena study was published in the British Medical Journal, the authors had lowered the observed reduction in heart attacks from 60 percent to 40 percent; still an impressive figure but a substantial drop from the claim they had prematurely publicized to press worldwide. Immediate responses to the paper from other scientists were harshly critical, noting the small size of the Helena population—about 68,000 residents at the time—and the medical implausibility of achieving such a massive effect in such a short period. It was impossible to know with certainty whether the drop was caused by the ban or was simply due to chance. Nonetheless, the Helena paper spawned a wave of studies seeking to replicate the finding. Research observing similar reductions followed in places such as Pueblo, Colorado; Bowling Green, Ohio; and Monroe County, Indiana. One characteristic shared by these places was their low populations and correspondingly small sample sizes: The last of these studies covered only 22 heart attacks among nonsmokers over the course of nearly four years. The medical reasoning behind why secondhand smoke would cause heart attacks posited that short-term exposure reduces blood flow, increases platelet aggregation, and causes endothelial dysfunction—all of which could increase the risk of heart attack. But looking at the most well-conducted research suggests that the actual impact is not as significant as originally feared. And where heart attacks did decline, it may not have even been because of secondhand smoke reductions: A new paper published in August 2016 considered other factors that may have been overlooked. Drawing on data from 28 states from 2001–2008, lead author Vivian Ho, an economist at Rice University, compared rates of hospitalization for heart attacks in areas with and without smoking bans. Following the methodology of previous studies, she and her coauthors found a statistically significant reduction in hospitalizations for heart attacks and congestive heart failure following implementation of a smoking ban (though only among people older than 65). But when they went a step further, adjusting the analysis with county-by-county health data addressing variables such as access to hospitals and increases in cigarette taxes, the effect of the smoking bans disappeared. Ho and her co-authors suggest that modest improvements in cardiac health that were previously credited to smoking bans may actually be caused by differentials in access to medical care and people smoking less when cigarette taxes increase (smoking cigarettes does have a proven negative effect on cardiac health). In the recent literature, the most notable study finding a correlation between smoking bans and rates of heart attack is a 2012 paper in Health Affairs. It is probably the strongest of the studies documenting a reduction, though it applies only to senior populations and did not make the adjustment for tobacco taxes noted above. Even those sympathetic to the claim that bans reduce heart attacks have had to concede that the larger the population studied, the smaller the alleged effect. A 2013 meta-analysis noted that “studies with smaller population in the United States usually reported larger reductions … while larger studies reported relatively modest reductions.” Or, to state things more accurately, the largest studies often report no reduction at all. Anti-smoking advocates often argue as if the existence of any effect on health, no matter how small, justifies any smoking ban no matter how extensive. If the size and certainty of alleged health risks are irrelevant, then of course the case for smoking bans is easy to make: Most nonsmokers find smoking inconvenient and have little regard for the smoking minority’s preferences. Setting such a low bar provides a convenient excuse for expanding the boundaries of the smoke-free world ever outward. The relevant question, however, should not be merely whether there are any dangers from secondhand smoke but also how big they are. If the alarmist claims made by anti-smoking groups were true, we’d be justified in avoiding secondhand smoke as if it were the plague. But we know now that those claims were exaggerated, so it’s worth asking whether contemporary bans have gone too far. Now that’s not nothing, but other recent research may be even more surprising. “No clear link between passive smoking and lung cancer,” read a 2013 headline in the Journal of the National Cancer Institute, hardly a pro-tobacco publication. That was a report on a cohort study tracking 76,000 women that failed to detect a link between the disease and secondhand smoke. The finding comports with existing literature suggesting that the effect is borderline and concentrated on long-term, high levels of exposure. Despite the mounting evidence that transient exposure to secondhand smoke is more an annoyance than a mortal threat, smoking bans have become widespread and politically entrenched. According to the latest update from Americans for Nonsmokers Rights, which publishes quarterly reports on anti-smoking laws, more than 80 percent of the American population now lives under smoking bans covering workplaces, restaurants, or bars. An additional 3,400 jurisdictions ban smoking in outdoor areas such as parks, beaches, and stadiums. More than 400 cities and counties restrict smoking while dining outdoors. More than 1,700 college campuses are completely smoke-free. Nearly 600 jurisdictions include e-cigarettes under their smoke-free laws. Some jurisdictions make limited allowance for places such as cigar bars and hookah lounges, while in others these are completely forbidden or limited to businesses grandfathered in before ordinances took effect. Participants in our study highlighted the growing restrictions on their ability to smoke and several explicitly recognised that legislative measures went well beyond the goal of protecting non-smokers from exposure to the effects of secondhand smoke and that the right to smoke altogether was being steadily eroded. Thus, while many participants expressed the view that smoking restrictions themselves were not intrinsically problematic, they emphasised that tobacco denormalisation had created an environment in which every public space was ‘claimed’ by non-smokers, making it impossible to smoke in public at all without receiving judgement. Importantly, while study participants expressed considerable felt stigma in relation to their smoking, they also recounted numerous instances of overt censure and discrimination. Smokers’ experiences in Vancouver raise important questions about the value and ethics of denormalisation strategies. Should a liberal state ever be complicit in shaming its citizens? Early arguments for smoking bans at least paid lip service to the idea that restrictions were necessary to protect unwilling bystanders’ health. But as bans have grown ever more intrusive even as the case for expanding them has withered, that justification has been revealed as a polite fiction by which nonsmokers shunted smokers to the fringes of society. It was never just about saving lives. When the Helena study and its heirs were originally published, a few scientists noted that the results were wildly implausible and the methodologies deeply flawed. So did a handful of journalists, including Jacob Sullum writing for Reason (to which I am also a contributor) and Christopher Snowdon in England. Yet their criticism was generally ignored. Studies reporting miraculous declines in heart attacks made global headlines; when better studies came along contradicting those results, they barely registered a blip in the media. As Jonathan Swift said in an apt aphorism, “Falsehood flies, and truth comes limping after it.” Too late to help smokers banished from public life. There were good reasons from the beginning to doubt that smoking bans could really deliver the promised results, but anti-smoking advocacy groups eagerly embraced alarmism to shape public perception. Today’s tobacco control movement is guided by ideology as much as it is by science, prone to hyping politically convenient studies regardless of their merit and ostracizing detractors. This has important implications for journalism. As health journalists take on topics such as outdoor smoking bans, discrimination against smokers in employment or adoption, and the ever-evolving regulation of e-cigarettes, they should consider that however well-intentioned the aims of the tobacco control movement are, its willingness to sacrifice the means of good science to the end of restricting behavior calls for skeptical scrutiny. 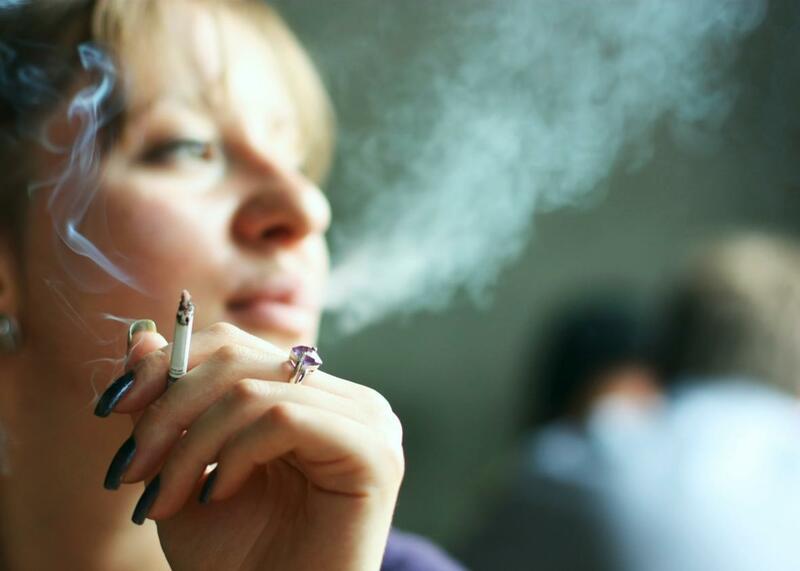 As for smoking bans, few people are eager to re-litigate the battles of the previous decade. We are unlikely to return to the days of smoking on airplanes, in hospital waiting rooms, or in the aisles of supermarkets. We can acknowledge that the shift in social norms against the presumption that one may light up just about anywhere is on the whole a good thing, even if the means of bringing it about has been more coercive than some of us would prefer. But smoking bans are not an all-or-nothing affair. Policy takes place at the margins and the margins have extended far beyond the goal of protecting people from chronic exposure to high concentrations of secondhand smoke. To cite just a few recent examples: In Washington, the city council has passed legislation restricting e-cigarettes, which emit vapor, and chewing tobacco, which doesn’t emit anything. In England, health advocates argue for restricting outdoor smoking because children should not so much as see someone lighting up. “Smokers themselves are also contaminated… smokers actually emit toxins,” one Harvard researcher mused to Scientific American in 2009, warning against exposure to invisible “thirdhand smoke” wafting off of smokers’ clothing and hair. Writers at Vox have gone so far as to advocate banning smoking even in private homes. The list could go on endlessly. Is it any wonder smokers feel stigmatized? While science can inform, though not fully determine, the boundaries of where people are allowed to smoke, the debunking of the previous decade’s heart miracles should provide some grounds for humility. It may be neither feasible nor desirable to set back the clock and permit smoking everywhere, but laws in a liberal society can accommodate the rights and preferences of smokers and business owners far better than they do now. So relax those outdoor bans. Let people vape. Allow there to be at least some venues in which consenting adults can gather to light up indoors. Respect for self-ownership demands it. After years of closing doors on smokers, it is time to open a few back up. Disclosure: I worked at the Cato Institute almost a decade ago when it received some tobacco company donations. Also, as part of my career as a bartender, I made cocktails at a 2016 event sponsored by Diamond Crown; I wasn’t paid, but I was given a humidor and cigars as thanks.